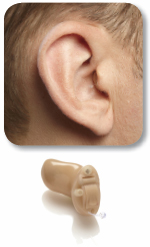 Open fit leaves the ear open. 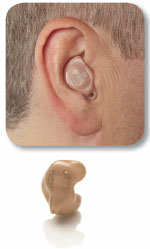 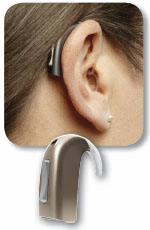 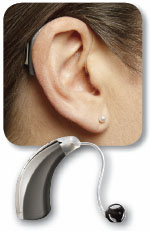 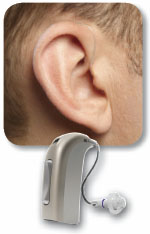 Closed fit utilizes a custom ear piece providing more power for greater hearing loss and maintains the slim tube appearance. Smaller than standard behind-the-ear hearing devices as above. 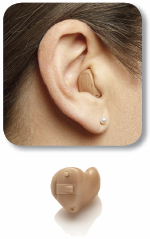 Custom ear piece is molded to fit your outer ear.